After being away from the blogosphere for quite a while due to various distractions which need not be detailed here I have decided to return and, sort of, start over again . . .
. . . since I have already established this blog, I will simply use what I have while transitioning to a more limited scope of content and posting entries about Space Travel, NASA, and related topics. While I still have interests in Ham Radio, woodwork, gardening, etc. they no longer of major interests for me. First of all, I will revise the “about” page, which is what you are reading now. I have a few new blog entries outlined and I will be posting them as they get ready for prime time. The graphic at the top of this page? 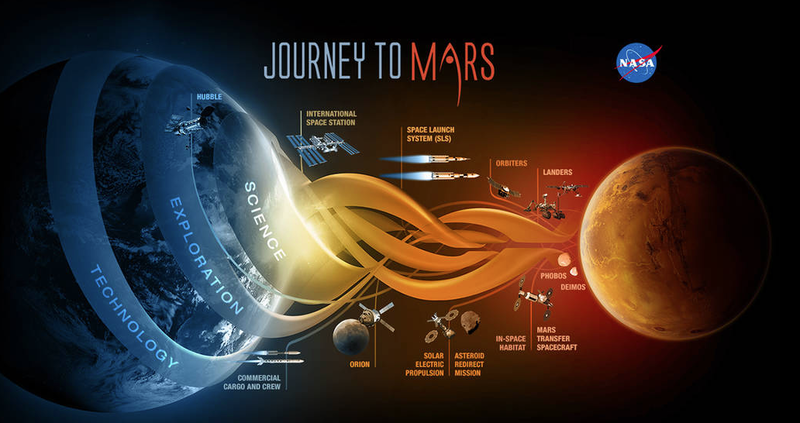 It is a screen shot from the ‘Voyage to Mars” page on the NASA website. I am currently working on our next prostate cancer guide and am writing to see if you would be willing to contribute a few “tips” for coping with the disease. I have read your blog and see you have written some wonderful posts–and that you have a variety of interests, including gardening and astronomy. I would be so happy to include your advice to our readers, along with a photograph of you, in our next issue. So you can get an idea of what this guide might resemble, I am happy to send you a PDF of our recent guide to metastatic cancer. Please send me an email address so I can do that. Checked out your Health Monitor site – adding a bookmark so I can visit often ! I would like to receive a copy of your guide to metastatic cancer. I’ll send a separate email so you will have my e-address. Being a prostrate cancer “survivor” hardly qualifies me to give advise to anyone about the disease, but I would be happy to share some of my cooping strategy, which is quite simple: maintain good health in order to be able to take care of “problems” as they arise. For me, coping with prostrate cancer has been trivial compared to coping with the after effects of treatment. Unfortunately, I happen to be one of the patients who suffer loss of bladder control after surgery. Fortunately, I still have some control, and can cope by wearing a Poise pad inside my underwear. This is not a serious problem, but it is annoying as the devil, and I wish it could be cured. My doctor tells me there are a couple of possible “cures”, but they both involve additional surgery, and my recent experience with surgery has convinced me that I never want to resort to that again, ever, unless it is a life or death situation. The most important part of my coping strategy is to do everything possible to maintain me health, mainly diet and exercise. My choice for exercise is walking, and I walk 30 to 35 miles each week. My daily walk varies in length from a couple of miles to ten miles BEFORE breakfast (I do the 10-miler only once or twice per month). I plan to do a blog entry with more details about my walking “habit” soon, under my MIscellaneous Musings category. Regarding a photo . . . feel free to use the one at the top of this “About” page. Just visited your blog and was interested in your ‘CVC’ inductance measuring gadget. Could that device be built using a schematic based on a vacuum tube(s) instead of transistors? (Mainly for a more vintage construction, since I work on vacuum tube radios and I try to keep all my test equipment vintage in charactor as well). You can email me direct if you like. Basically, all the CVC is – is a calibrated oscillator. Pick your favorite vacuum tube oscillator circuit, build it, then calibrate the dial. The dial can be calibrated in any of the units of measure: Inductance, Capacitance, or Frequency – or all three if your dial can hold all that information. It all depends on what your constant(s) are, and what it is that you want to measure. Good luck, and let me know how things turn out for you.